Discussion in 'The Garage' started by mikeavelli, Aug 3, 2015. TORRANCE, Calif. (Aug. 3, 2015) – Toyota Motor Sales (TMS), U.S.A., Inc., today reported July 2015 sales of 217,181 units, an increase of 0.6 percent from July 2014 on a volume basis. With the same amount of selling days in July 2015 as in July 2014, sales were up 0.6 percent on a daily selling rate (DSR) basis. Toyota Division posted July 2015 sales of 187,365 units, down 0.6 percent on a volume and DSR basis. "July auto sales showed no signs of slow down for the industry," said Bill Fay, Toyota Division group vice president and general manager. "Led by Tacoma sales, the Toyota division light trucks posted a best-ever July." Lexus reported July sales of 29,816 units, up 9.1 percent from July 2014 on a volume basis and DSR basis. Lexus USA has reported 29,816 total sales for July 2015, a 9.1% improvement over last year. Almost everything is in the negative, consumers are holding off for refreshed models. On top of that, might we see RC 200t in the states? CIF, RAL and IS-SV like this. The refreshed GS should have been announced by now. I'm giving them two more months. I was beginning to wonder why Audi even bothered to keep the TT in its American-market line-up, but I see it is gone now. They do still have the TTS coupe, however. That's impressive numbers for one month....getting up into Honda Accord territory. Yep...the MKC and new MKX seem to be bringing Lincoln out of the doldrums, just as I expected them to. Anytime! I'm stunned at the X5, again over 6k units and outselling the MDX. Escalade sales are also just amazing considering the price. The small SUV race got really tight last month with the Q5 on top with the RDX right behind it and the NX right behind it! Going to be interesting to see who can keep pace. The ATS is really doing poorly and they have a new coupe to the lineup which has done nothing to help sales. Not good. Audi continues to climb and now is in the upper teen range and not the lower to mid teen range. With the sales race between the big 3 (BMW, Benz, Lexus) I can only imagine the deals that will happen at years end. Random Note, Volvo is added and I had no idea the XC90 had a 400hp plug in hybrid! RAL and mmcartalk like this. Anytime! I'm stunned at the X5, again over 6k units and outselling the MDX. Well, the X5 doesn't have a parrot beak. You do have a point, though, considering the MDX's continuing popularity. Escalade sales are also just amazing considering the price. When you think about it, though, there's very little significant competition for it....it pretty much owns the bling-market among SUVs. The Navigator isn't as plush inside or out. Nor is the Lexus LX. The QX80 is awkward-looking. The G-Wagon, though built like a tank, is a 30-year old military-based design. The Range Rover, while plush, is unreliable, costs a fortune, and is hard to get at dealerships. Plus, the others don't get the TV/movie glamorization from Hollywood that the Escalade does. I had no idea the XC90 had a 400hp plug in hybrid! It's probably not surprising that Volvo may be trying some hybrids. For a brand that is native to Sweden, that part of the world (especially in the northern part of the country) gets some very cold winters.....cold enough to cause possible starting/running problems with even today's advanced diesel fuels and engines. LX numbers are just embarrassing how, even G wagon is above it lol!! But brighter days ahead with the new LX and LS!! thanks LEXFATHER for all information. mikeavelli and IS-SV like this. Yes, I too greatly appreciate the effort that goes into making this extremely useful Sales Thread. Thanks! yeah they need to reveal the facelifted GS if they really want to bump their sales up because a lot of people are probably waiting to upgrade after seeing the GSF being revealed and hoping the whole GS line would look the same or more aggressive then it already is. Lexus needs to do a few things real quick to bump their sales. 1. Make an entry-level version of the IS, with the 2.0L turbo making around 180hp to battle the 320i and C200, and also to lower the price point of the IS, which would increase sales by thousands monthly. 2. 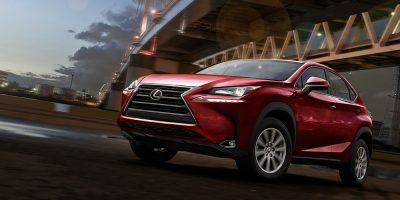 Bring the new RX to market as soon as possible. The X5 is eating into the market with a wide range of engine choices. I'm very happy to see that the IS has continued to sell so well. IS is a testament to Lexus' commitment to tweak things and get it right over time, and they're obviously in the sweet spot now. IS nor GS are ever going to tie 3 Series/C Class nor 5 Series/E Class because of ES 350/300h, so I try to look at the sales of all three and consider the breakouts. GS is "down-ish" at 1,700 units but coming up on a refresh which should help. IS 200t will help greatly, though with the soft demand for hybrids right now, I doubt Lexus has any plans to bring IS 300h to the States anytime soon. GS 200t - if it happens - should be a great addition. Hopefully they can tune it up to 250hp or so? I'm very happy to see that the IS has continued to sell so well. IS is a testament to Lexus' commitment to tweak things and get it right over time, and they're obviously in the sweet spot now. I owned a 1Gen IS300, and I thought that its overall build-quality, wheel/tire choices, and interior features (Chronograph gauges, chrome-ball shifter, etc...) were the best of the three generations so far. But it clearly lacked several major features it needed, that today's IS does have.........like an engine choice, an AWD option, a 6-speed automatic, better programming for the transmission, and a properly-designed climate-control system that doesn't keep reverting back to the recirculating position all the time. Yes, maybe. Certainly BMW has proven the 528 turbo4 can sell in big numbers, the predominate configuration for 5 series today in U.S. .
To me the GS needs a lower priced and more efficient 2.0t than a refresh. All the Germans offer these small engines in this class, including the CTS with a 2.0. A 300h might work too. Hopefully the GS F gives the entire line a nice boost as well.